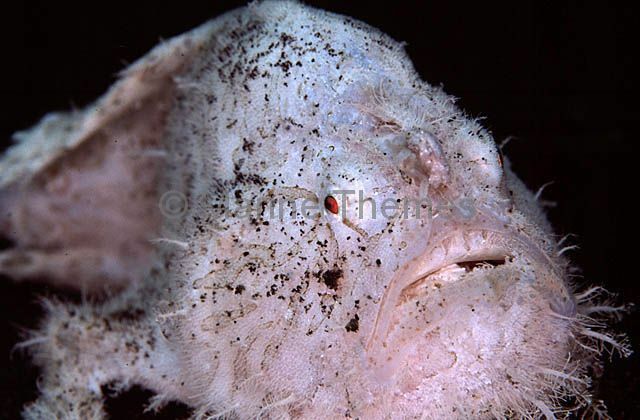 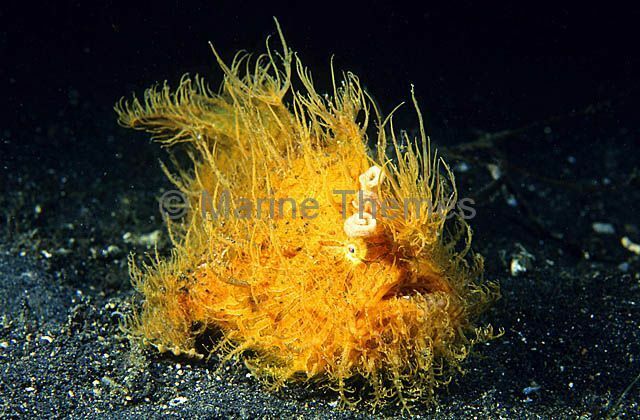 Striped Anglerfish (Antennarius striatus) with extended illicium lure which imitates a tube worm. 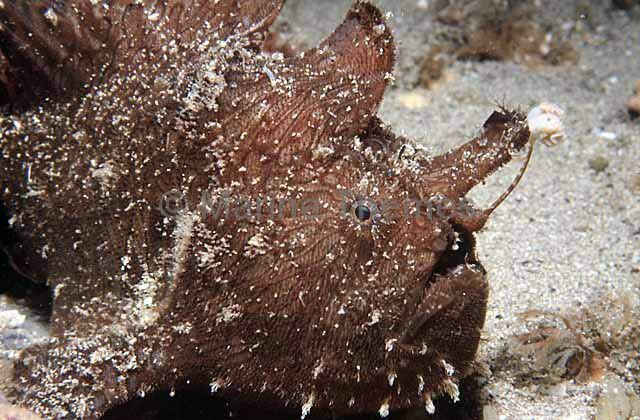 Striped Anglerfish (Antennarius striatus) Dark colour form. 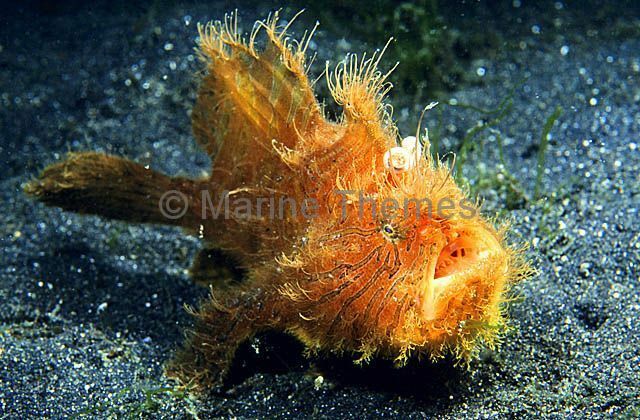 Striped Anglerfish (Antennarius striatus) Yellow colour form. 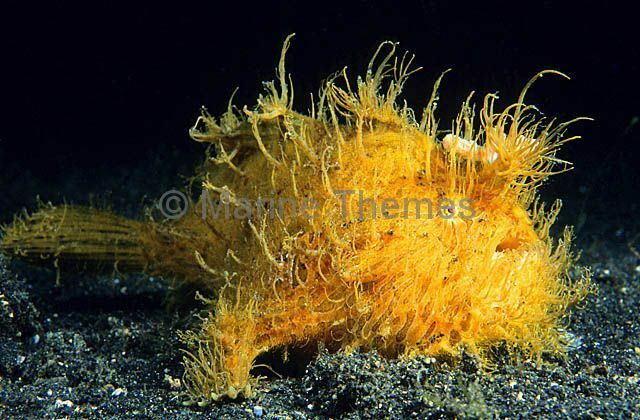 Striped Anglerfish (Antennarius striatus) Yellow colour form with extensive tassels. 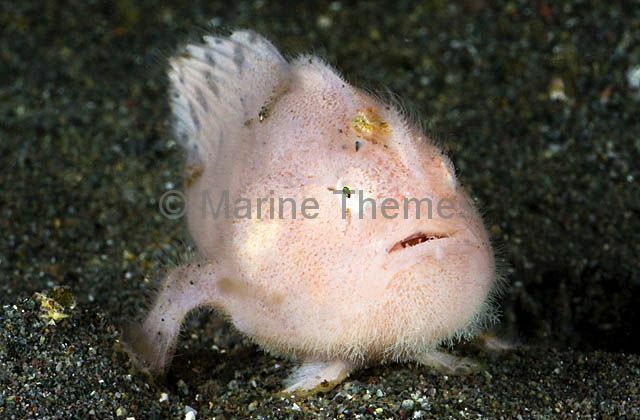 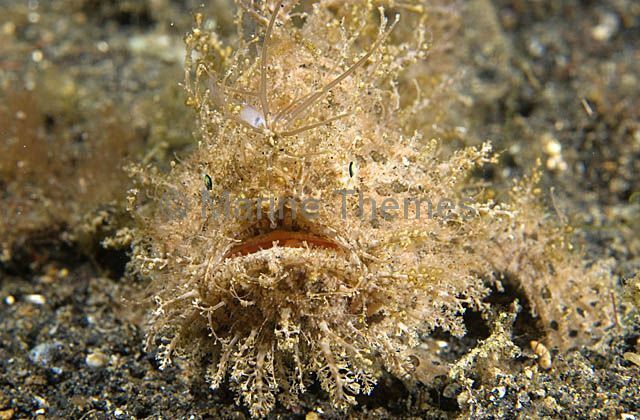 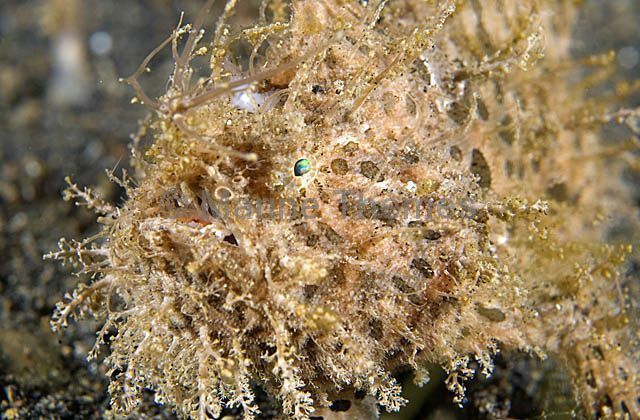 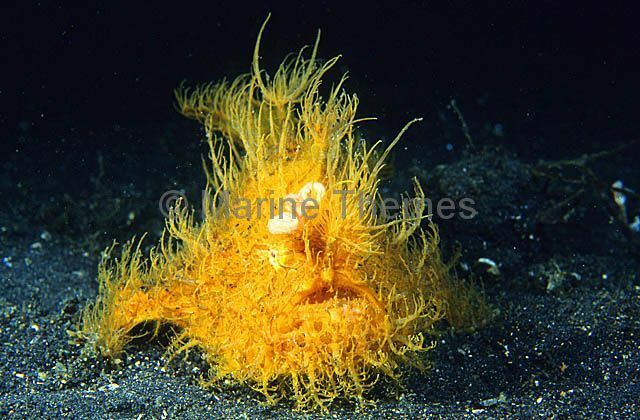 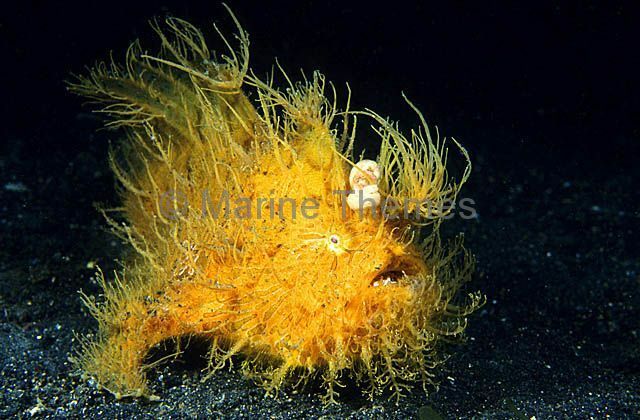 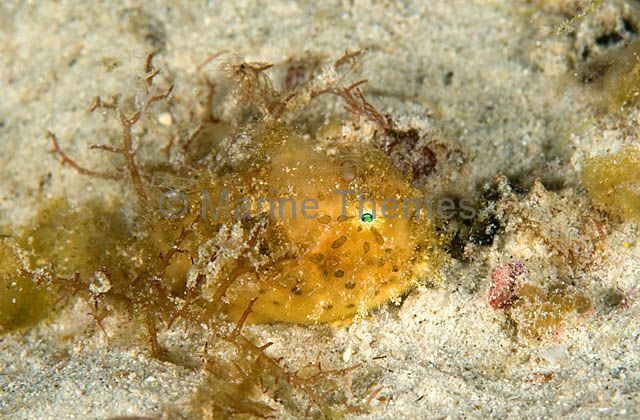 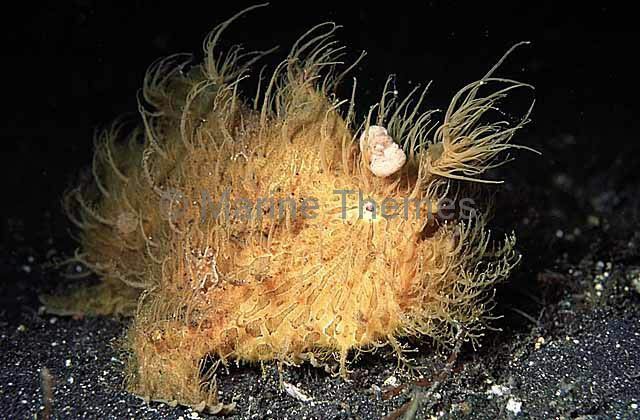 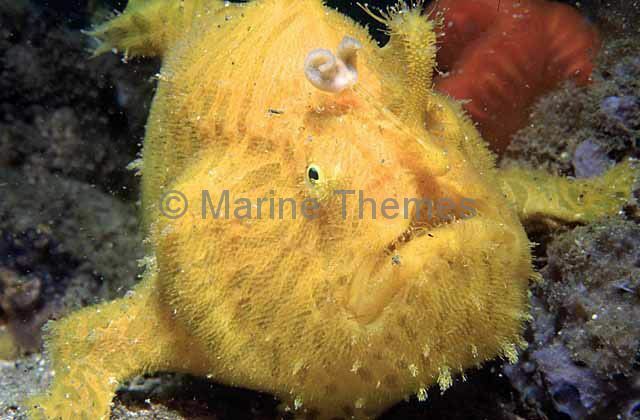 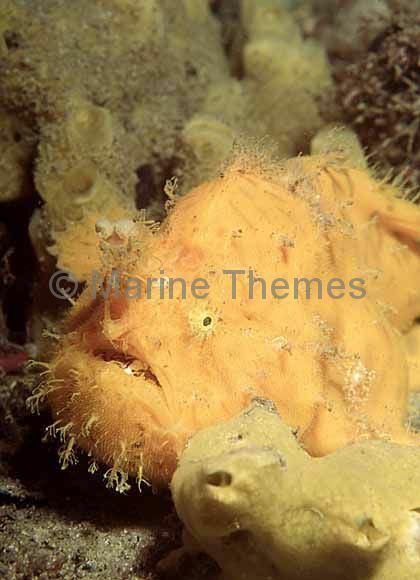 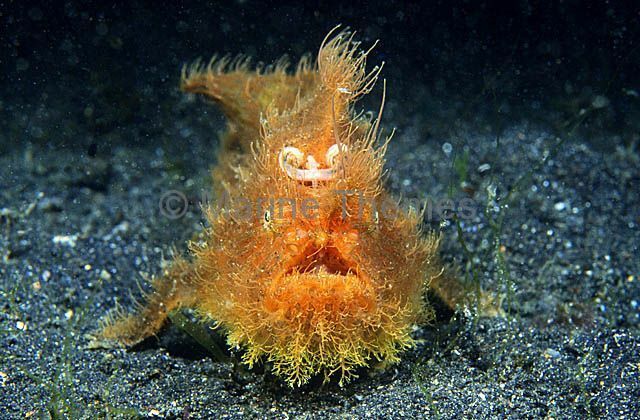 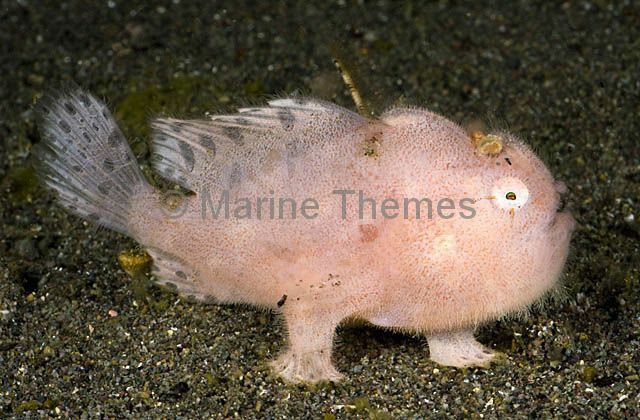 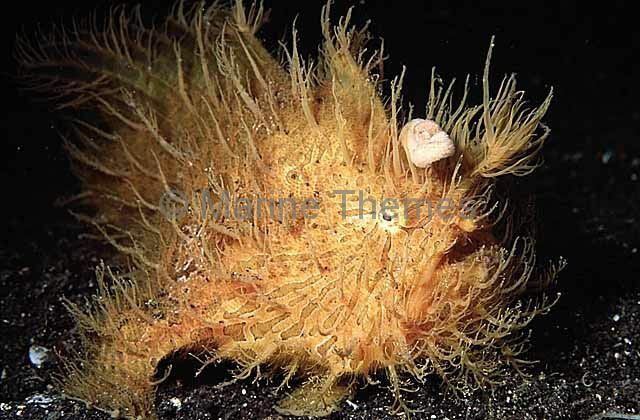 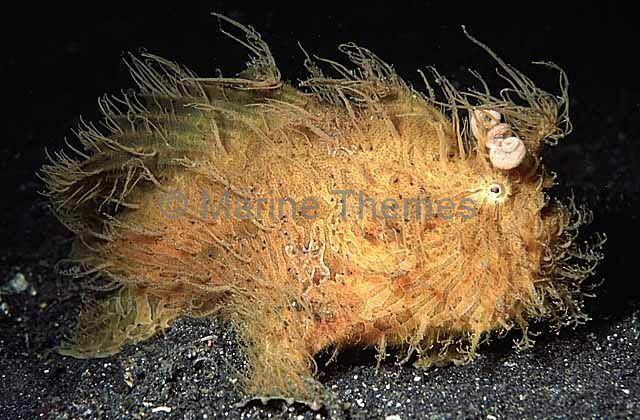 Striped Anglerfish (Antennarius striatus) Yellow colour form with extensive tassels and worm shaped illicium or lure. 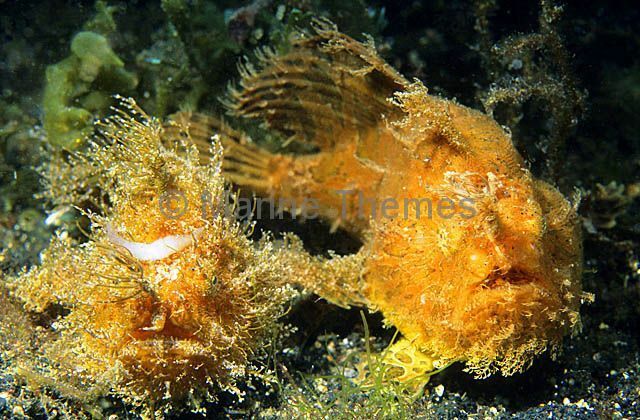 Striped Anglerfish (Antennarius striatus) Pair with yellow colour form, extensive tassels and worm shaped illicium or lure. 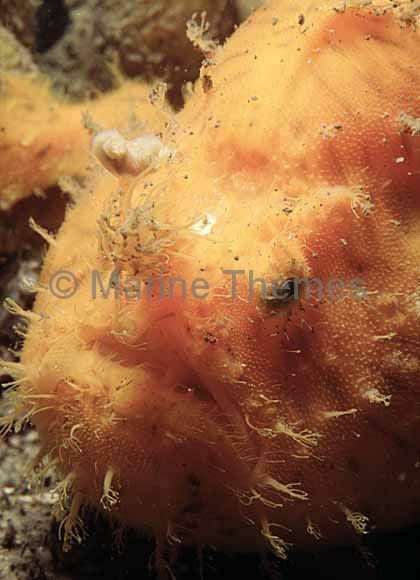 Striped Anglerfish (Antennarius striatus) hiding among short seaweed on sandy sea bed.